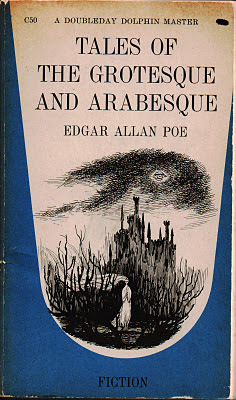 Probably published in 1839, this was the first collection of short stories that Edgar Allan Poe produced. In two volumes, it comprised 25 tales, among them "The Fall of the House of Usher", "MS. Found in the Bottle", "William Wilson" and "The Assignation". The latter is set in Venice, where the narrator witnesses his friend rescue the drowning child of Marchesa Aphrodite, whose husband surreptitiously looks on as they arrange an assignation after midnight. The traces of a romance between the two are revealed to the narrator who later discovers they were both poisoned. "The fall of the House of Usher" is perhaps the most famous tale from the collection. It recounts the metaphoric and quite literal collapse of both the house and the family. "MS. Found in the Bottle" is the bizarre story of the storm at sea which flings the narrator from one ship to another. As the sole survivor of the first shipwreck, he now finds himself alone among the sailors on the ghostly vessel. He writes the manuscript of the title, whose last entry tells of a coming storm. "William Wilson" is a classic doppelgänger story, of two William Wilsons whose presence disturbs one another at school and in adulthood until they fight in a duel where one dies proclaiming that the other is dead, too. 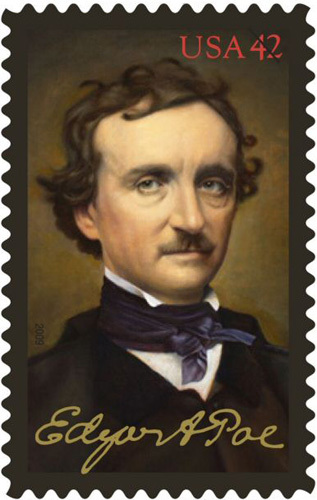 Poe's stories are startlingly original, often disturbing and frequently macabre. Sitôt qu'on le touche il rèsonne. objects which have the power of thus affecting us, still the analysis of this power lies among considerations beyond our depth. It was possible, I reflected, that a mere different arrangement of the particulars of the scene, of the details of the picture, would be sufficient to modify, or perhaps to annihilate its capacity for sorrowful impression; and, acting upon this idea, I reined my horse to the precipitous brink of a black and lurid tarn that lay in unruffled lustre by the dwelling, and gazed down – but with a shudder even more thrilling than before – upon the remodelled and inverted images of the grey sedge, and the ghastly tree-stems, and the vacant and eye-like windows. Thanks for the review. Poe is one of those writers I've long admired but only recently realized why. Though he's credited with inventing a few different genres including modern horror and the mystery, I think his use of the grotesque is the most striking. Grotesque fiction has such power to encourage the reader to look deeper than the simply visceral elements common with most horror fiction. Full disclosure: I write what I call domestic grotesque fiction, so my views may be a bit skewed. Thank you for the comment. Poe is one of my favourite writers too, and I admitt, since English is not my mother tongue, I read it again and again in original and every time I discover something new. It is quite different to read in translation. I have checked your blog, and you work seems very interesting. I wish you all the best.